Scoop was a weekly comic from the UK in the late 70s/80s. 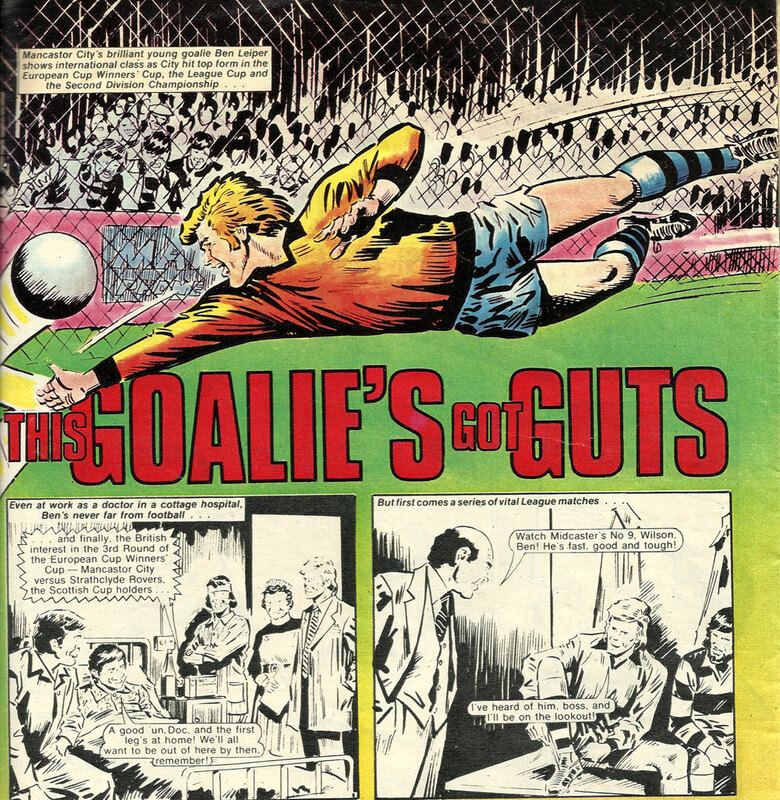 It was like a mixture of Shoot (photos and articles) and Tiger (comic stories – not all soccer – see the Goalie’s got guts example below). 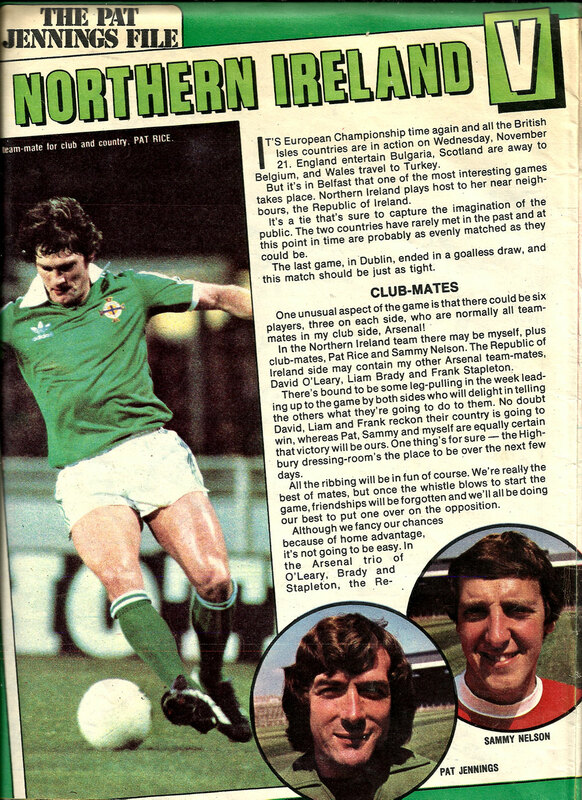 This issue from November, 1979 had a strong Irish presence. 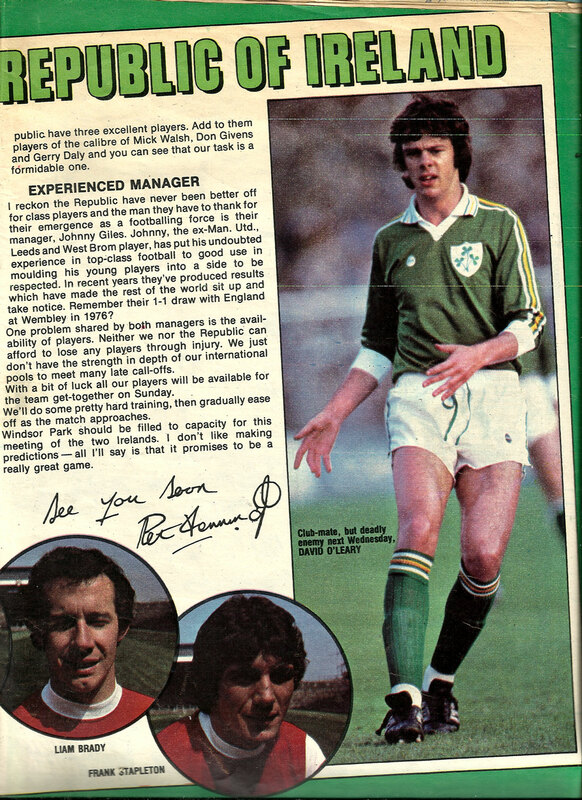 The cover star was Pat Jennings. A natural who did a great job without making a fuss. A hero of mine and one of the all time greatest goalkeepers in the world. Pat played GAA outfield as a youngster. 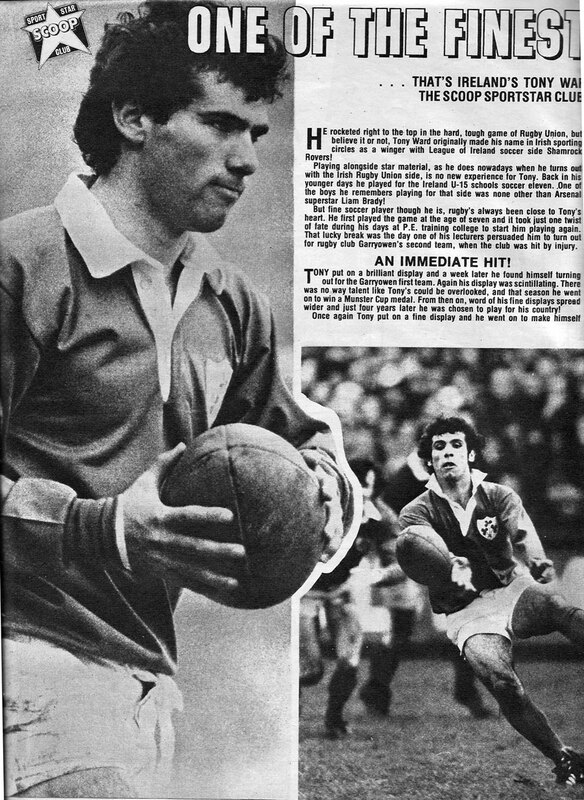 Also in this issue was 24 year old Tony Ward who got a 2 page feature as well as a cut out sports star card. 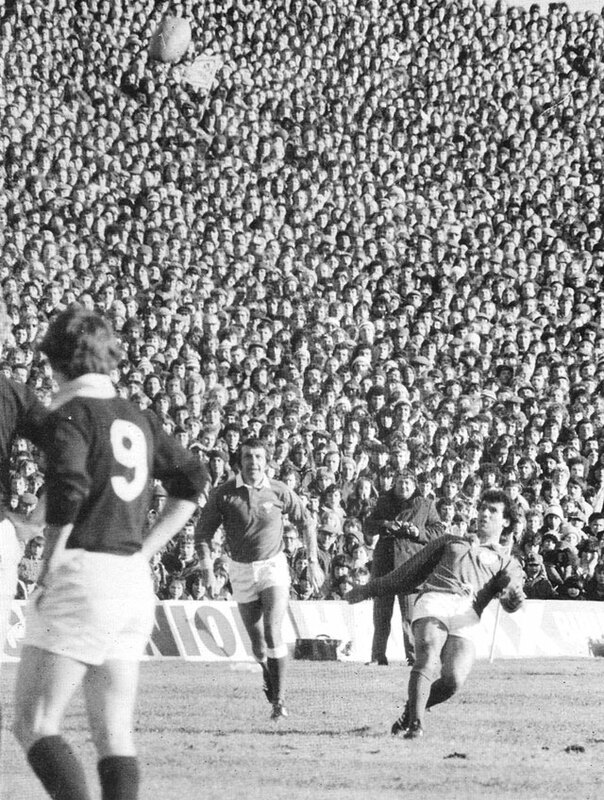 The action photo of Ward kicking at Landsdowne Road in 1978 is not from Scoop. 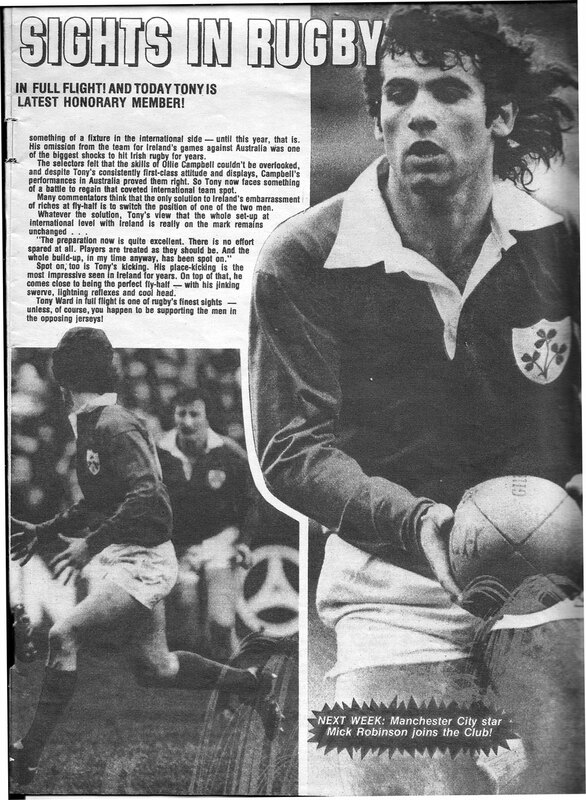 Its a great photo from the Irish Rugby Scrapbook 1982 by Edmund Van Esbeck which I’ve sneaked into this post. Photographer not credited but likely to be Peter Thursfield, Irish Times.